The end of 2016 is fast approaching, and while the rest are busy preparing for their Christmas and New Year celebration, professionals working in the digital marketing industry are already busy cooking up their premier strategies for 2017! While many might stick and continue with their current tactics, more ventures, especially the startup ones are looking at the opportunity to recalibrate their entire approach by riding the SEO trends expected for the incoming year. Many experts have shared their opinions, and below are the top 12 trending strategies that are expected to dominate next year’s bulk of marketing approach. This post was written for temi.co.uk by Joseph Sayaff who owns web design in the Philippines company. With the number of websites and blogs created on a daily basis, people now have several options on where to get their information. Designing your website in a way that employs the most user-friendly design is said to be a significant advantage. Link building is still alive and is seen to strive more this 2017. But rather than paying attention to bad hacks in getting links, the trend in this practice is set to focus on getting quality links from authority sites which trust your website. Search engines are also seen to be stricter in penalizing bloggers and content creators who are proven to involve themselves in this bad practice. If you can’t get your page to load for the first few seconds, you’ll most likely lose the attention of your readers. Several factors contribute to the slow loading of pages such as huge image sizes and unnecessary plugins. Removing these could help speed up your page loads. Using keywords on different online content types is seen to be the most efficient method to establish your relevance on a particular topic. While keyword usage is still pragmatic, this doesn’t seem to be the only focus that digital marketers should consider. Semantic SEO is predicted to dominate a good portion of the content marketing planning procedure. In this strategy, SEO experts expand their search to topics that are relevant to specific keywords. Rather than solely focusing on words, the bigger chunk of idea research would fall on titles that might answer the direct needs of the readers. For the past months, we’ve heard some rumors about Twitter on the verge of dying or being purchased by other bigger companies. Potential buyers like Google, Apple, and Disney, came to view, but none has issued any official statement on whether or not the purchase would pursue. On recent reports, however, we’ve seen a dramatic increase in speculation about Google buying this micro-blogging platform. While this remains a speculation, a lot of experts already agree that this is indeed the path that Twitter is likely to take. For digital marketers who are using Twitter as a major platform to promote their product or service, the potential purchase could mean several changes on how one crafts their content considering the important shift in the search metrics that the SM platform may employ as means to adopt Google’s. Whether we like it or not, more people are now using their mobile devices in seeking information online. While desktop usage is still widespread especially in a typical working environment, there is a significant increase of mobile usage for the past years. Experts are seeing more increase in this trend, which could ultimately affect the ways on how marketers should craft their content. Just like the growth of AI (artificial intelligence) usage, the use of voice search has also seen a gradual increase for the past year. People who are always on the go are likely to rely on voice searches rather than manually inputting the terms or topics they wish to read. The idea of tapping the aid of personalities who are popular in various fields of specialization is nothing new. Over the years, companies have employed the help of prominent entertainment personalities, athletes and successful entrepreneurs to help their advertising strategies. With more people looking for reliable validation for the products they consume, they seek for the words and testimonials from individuals who are popular. This 2017, experts predict the increasing number of companies who create publicity materials that involve famous faces. This is attributed to the growing competition across various industries and the rise of ‘popularity factor’ as the primary determining element in making a purchase. We’ve mentioned how crucial it is to build quality links, but experts remind content creators and SEO specialists to not disregard the importance of establishing authentic relationships with your market. While getting links from other authority sites through your online efforts is a good thing, nothing can you’re your real, personal network. Having a healthy professional relationship with people that help your business is vital in a company’s overall marketing endeavors. Many have strictly followed the idea of creating a detailed content calendar, but you’ll be surprised by the number of ventures that miserably failed because of their inability to keep tabs of their plan. It’s not enough to only design and implement a strategy. The real challenge is when you start monitoring and making the evaluation of whether or not your plan is working. For the past years, the industry has seen some entrepreneurs who failed either because of a vague plan or an unrealistic one. The coming year is predicted to usher a stronger marketing mindset that focuses on the long-term effect of a strategy. Creating high-quality content is a constant. It is an essential marketing etiquette and is necessary if you’re serious about building a good reputation on your field. But while articles were the royalties a decade ago, the emergence of social media has paved the way to a more dynamic means of sharing information – through images and videos. In fact, social media metrics view photos and videos as the primary content type that helps individuals or company gain more traffic. Considering the new tools in editing and creating graphics, the proliferation of this kind of material is expected to happen by next year. 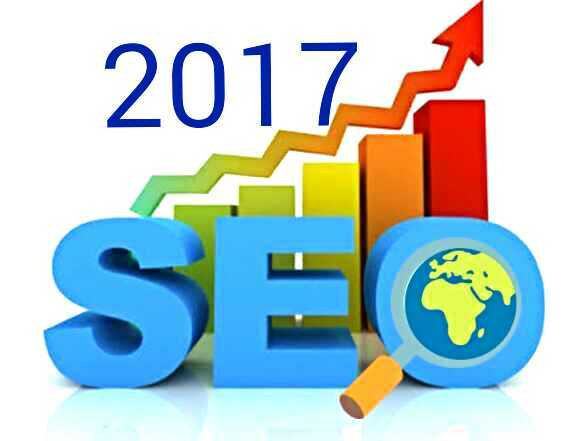 Before social media hit the mainstream, SEO specialists rely mainly on the live data from websites and blogs. Results from search engines are also reliable sources. But this focus has changed ever since social sharing started to dominate the web. With the different metrics used by different social media platforms, SEO professionals now have to keep track of the responses that are generated from the specific platforms. The degree of work necessary for managing social media is the very reason why some companies specifically hire social media specialists who monitor these portals regularly. One of the biggest benefits in riding the trend is the opportunity to become something new and unique. People are always looking for what’s fresh, and if you manage to position yourself with this identity, then there’s a good chance you’ll be able to gather loyal customers. Unfortunately, redesigning your marketing strategy could mean additional cost and indefinite risk to your current campaign. Some companies who are tight in the budget would shy away from the idea in fear of spending too much with no guarantee of returns. Moreover, there is no assurance that you’ll succeed in the new approach once you try it. Even if you employ the strategies, if you’re timing and targeting is off, getting the response you expect would be difficult. …are considered to be the most vital factors that help make or break your marketing strategy. As digital marketers, it’s important to understand that there isn’t any shortcut and foolproof method that would guarantee you success. Despite the fast-paced information delivery at present, the best way to measure the efficiency of a technique is to try it out. Review your targeting and your current strategy. Check the responsive approach and cross out those that need revisions. Marketing online requires timing and speed – two things that are often risky without a solid plan as the foundation. Never settle for a half-baked content marketing plan. Brainstorm with your team and work on polishing its details. You don’t have forever to get your market’s attention. Make sure you hit them right with the answer to their needs!